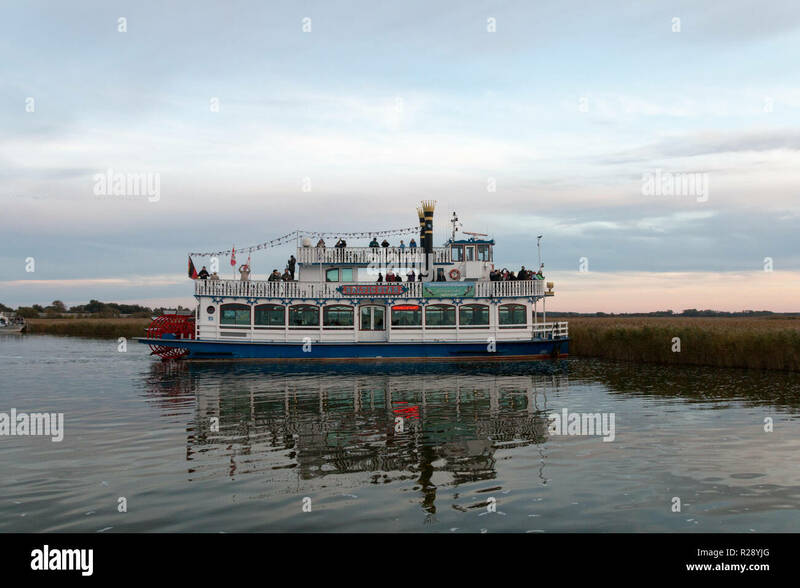 Prerow, Germany - October 10, 2018: View of the excursion steamer Baltic Star, which travels with tourists to the Bodden to observe cranes, Germany. 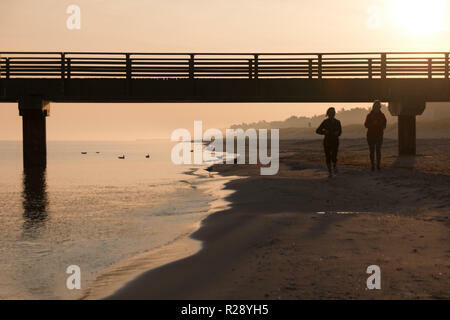 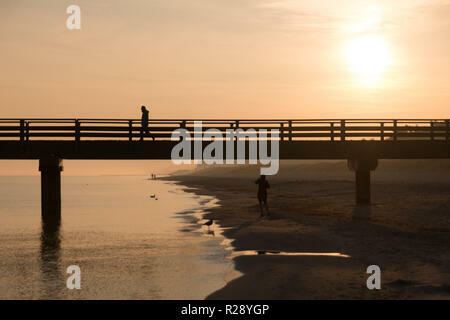 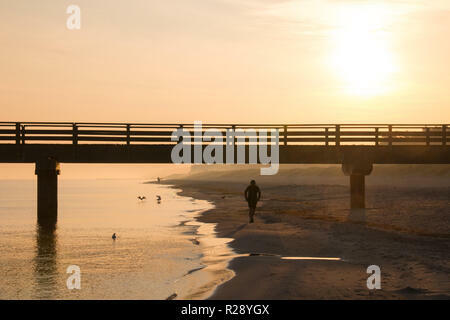 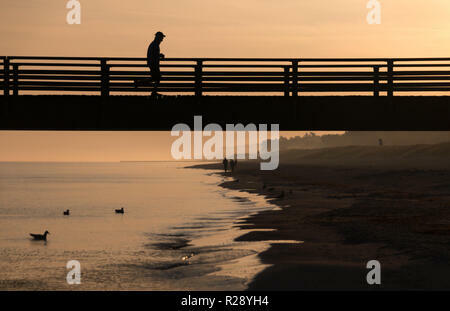 Prerow, Germany - October 10, 2018: Jogging while the sun rises along the Baltic Sea, Germany. 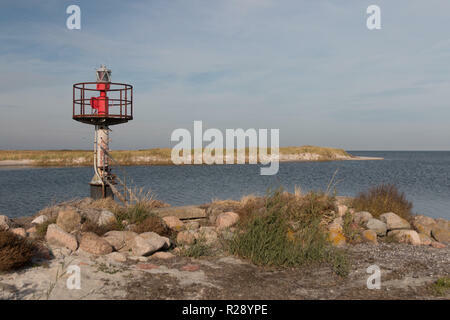 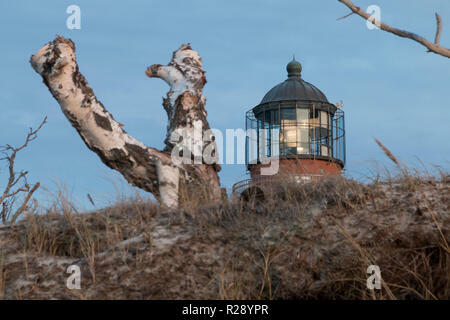 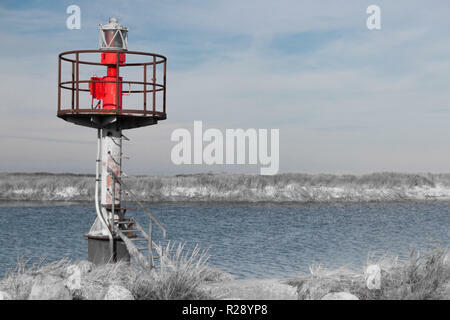 Prerow, Germany - October 10, 2018: View of an old beacon at the entrance to the harbour of refuge Prerow at the Baltic Sea, Germany. 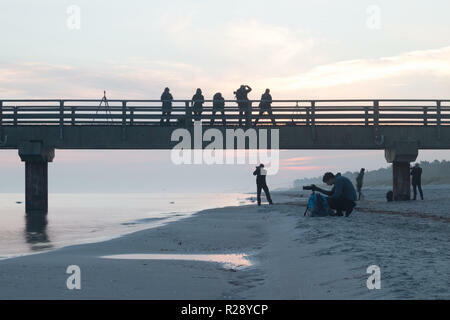 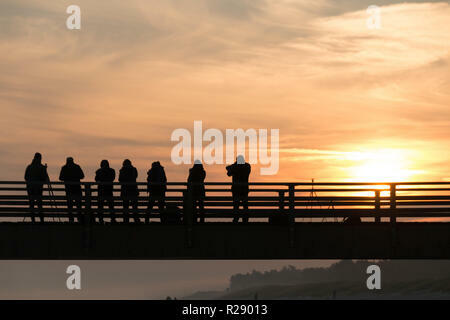 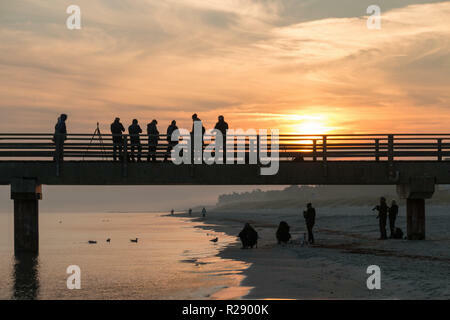 Prerow, Germany - October 10, 2018: View of photographers photographing the sunrise on the beach of Prerow at the Baltic Sea, Germany. 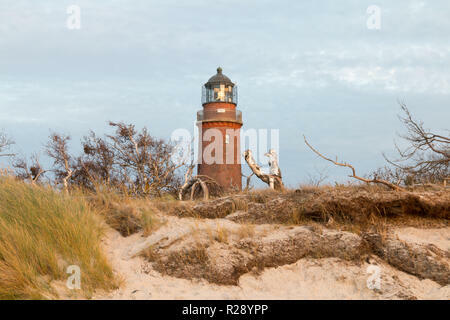 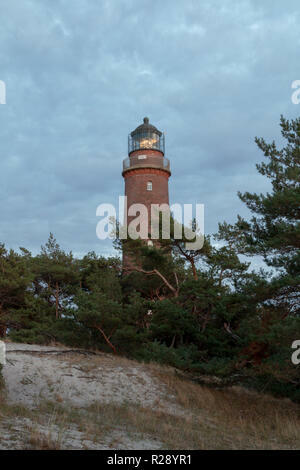 Prerow, Germany - October 10, 2018: View of the lighthouse at Darßer Ort near Prerow on the Baltic Sea coast, Germany.